Are you moving this summer? If so, you’re in good company: the months between May and September are the most popular time for a switch of scenery! Moving can be exciting. There’s nothing quite like turning a new house into a home of your own, adding personal touches and style throughout the space and exploring your new stomping grounds. Moving, of course, can be expensive as well—but with the tips in today’s blog, we can help you make it a little easier on your wallet! Take a look below to learn more. One of the biggest parts of moving is, of course, clearing out your old space as you prepare for the new. You don’t want to bring old clutter and unwanted items along with you! That’s where we can help. Whether it’s old coins, jewelry, or other items of value, we can help you clear up some space and give you cash in return. That way, you’ll have a clearer space, and more money to spend on new flourishes for the home. From moving truck costs to a deposit on your brand-new home, moving can come with its fair share of expenses. When needed, we can help! 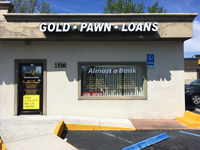 By getting a pawn loan on items you don’t need in your day-to-day life (your boat, RV, motorcycle, etc.) you will be freeing up some valuable packing space and receiving a loan that can help serve as a cushion for those moving costs. Gift cards make for smart housewarming gifts, and you may have received a few as you’ve gotten ready to move. 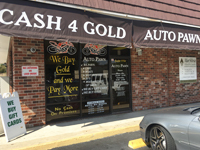 However, if you find that you don’t need them all, bring them into Auto Pawn where you can exchange them for cash! It’s just one more way to make moving day a little easier. Enlist the help of friends! For local moves, you may not need an entire moving team or truck services. Invite friends and family over to help with the process and order a few pizzas to keep them well-fed along the way! In the weeks leading up to your move, pick up free boxes from the grocery store. Many wholesale stores will have a bin full of leftover boxes you can choose from. Also be sure to save boxes from packages you receive in the mail. We hope that these tips help you enjoy a smooth, simple summertime move! 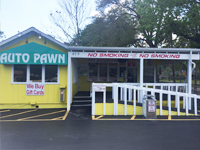 For information about pawn loans, selling gift cards, and just about anything else, be sure to call Auto Pawn today. We can assist with the financial side of your move, wherever it may take you.